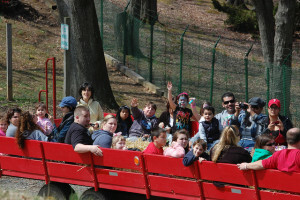 Free Hayrides at Linvilla Orchards This Month! Now’s the time to take a daytrip out to Linvilla Orchards. With fall finally arriving in Philadelphia, you don’t want to miss how scenic it is out in Linvilla’s fields and orchards away from the city! Come out every Tuesday evening in October to check out this deal. When you buy one ticket for an evening Autumn Moon Hayride or Hayrides To The Witch’s House, you will receive one complimentary ticket too. 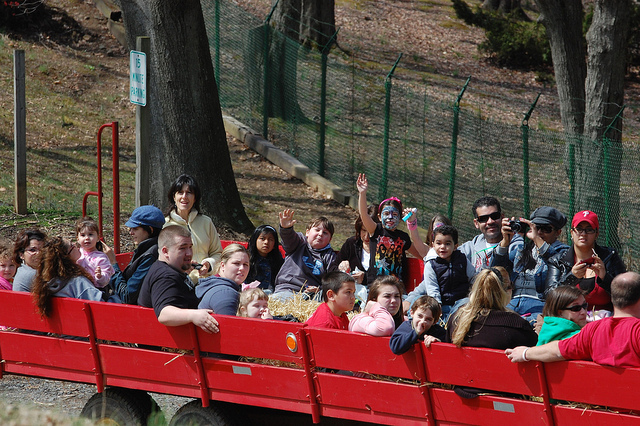 Which Hayride will you take at Linvilla Orchards? All hayrides start at Pumpkinland (link) and will take you on a 15-20 minute trip throughout the orchards. The Hayrides to the Witch’s House will take you to meet Linvilla’s friendly witch who tells stories and jokes. The hayride ends at a campfire with apple cider and roasted marshmallows. Good for children up to 10 years old. Tickets are $9 each, and rides are available between 5:30 – 8:00 p.m. While you’re at Linvilla Orchards, be sure to grab a pumpkin from Pumpkinland. There are hundreds available of all shapes and sizes. Open from 8 a.m. to 8 p.m. The Straw Bale Maze is unique to Linvilla Orchards. Constructed of over 300 bales, you should expect to explore for 30 – 60 minutes. Open from 11 a.m. – 5 p.m. and is $4 per guest. Stop by the Farm Market for carefully picked produce that is ripe and delicious. Check out the signature pies, baked goods, salsas, jams, and other local Pennsylvania products. Complimentary ticket offers are only valid on October 13, 20, and 27 for theevening hayrides. Choose from the Hayride to the Witch’s House ($9 ticket) and the Autumn Moon Hayride ($7.50 ticket).All hayrides must be between 5:30 – 8:00 p.m. on these dates. For more information on hayrides, please click here. Linvilla Orchards is located at 137 Knowlton Rd, Media, PA, 19063.